ing to the U.S. she joined and loved it. Creating creative concept and traveling around the world to shoot them was just the beginning. From there she enjoyed a very creative and wonderful career as editor for W magazine, then as Style Director for House & Garden “loving every second”. 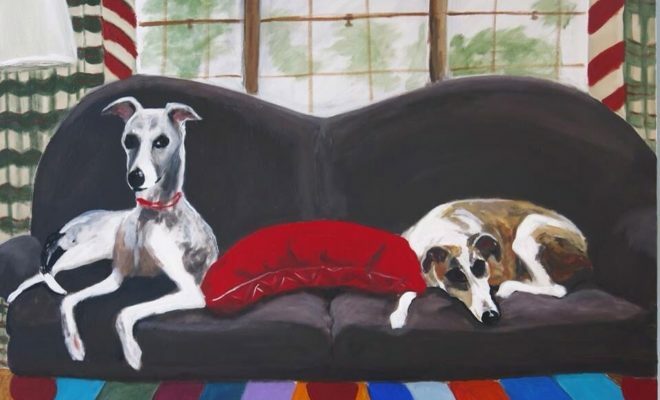 But Rory is at heart an artist… a painter and photographer; in fact her work serves as a focal point throughout her London Terrace home. 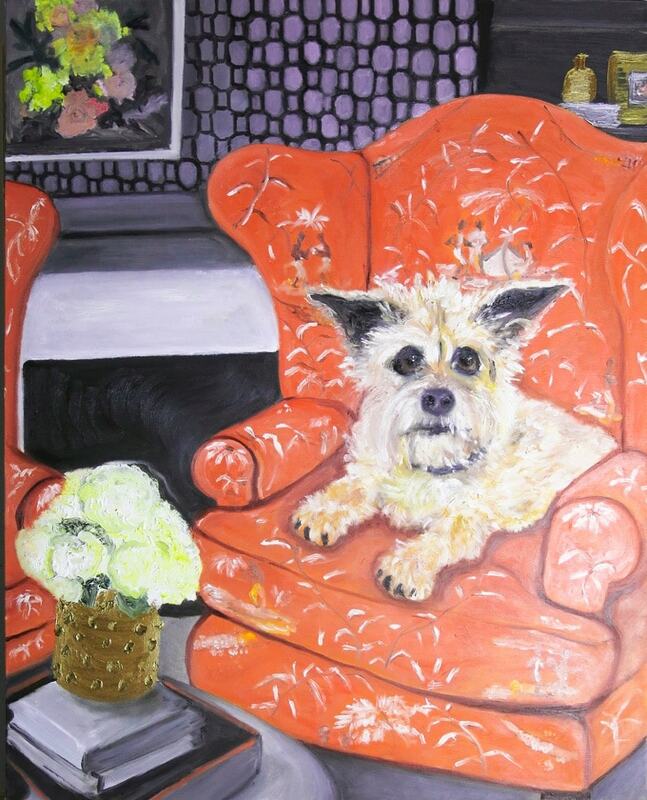 Her canvases surround you in and among her eclectic collections of ceramic poodles and objects d’art. 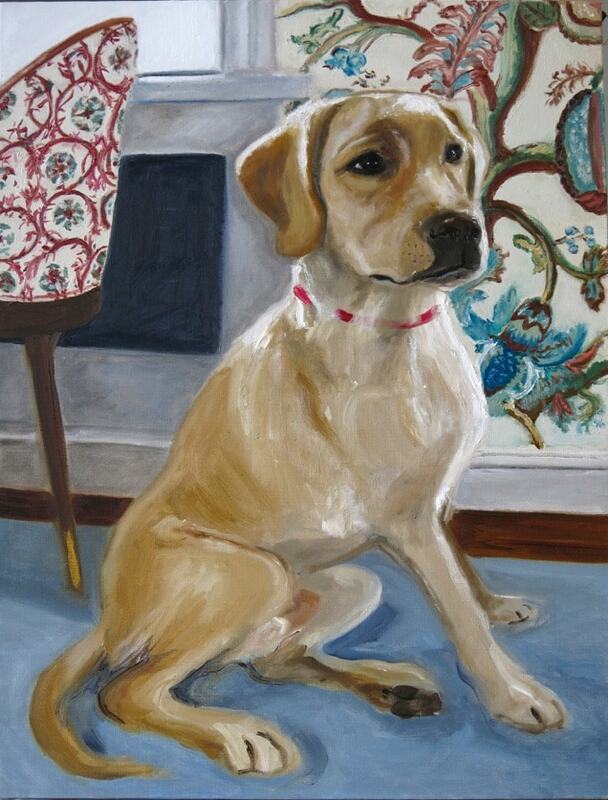 Her understanding of how to marry various styles and elements is reflected in her painting, photography, interior design and everything she approaches which is why London Terrace has been a magnet for her. 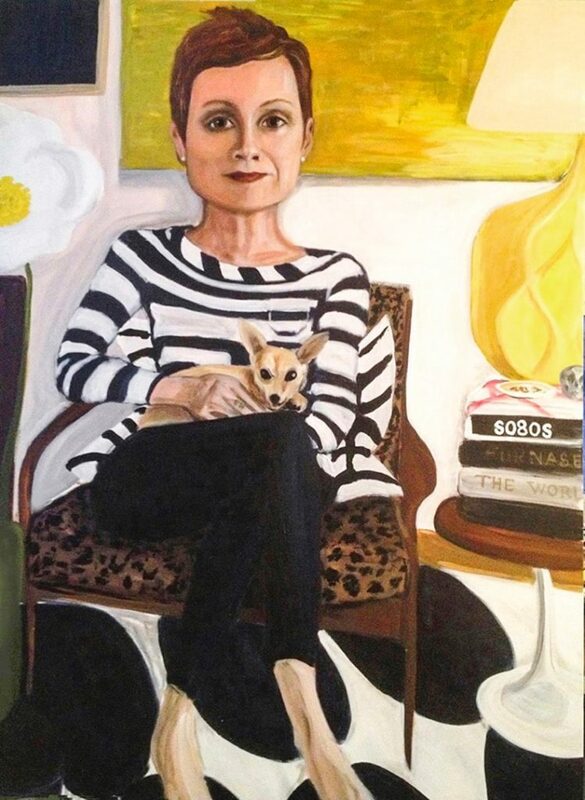 Rory first moved into London Terrace Gardens in the 90’s where she loved the creative exchange and grittiness of the neighborhood which seemed to hatch a consistent flow of innovative art styles. After a brief hiatus to the Upper West Side where she “cried every day, missing what I know is my place. I have loved these building since I was a little girl. I missed the community…it was like I was on a different planet”. She moved into the Towers 9 years ago, with the help of a trusted realtor and re-planted her roots. Rory has been working on a series of her London terrace neighbors. She wants to capture what and who make the London Terrace community what it is and the characters that attracted her to the building. As anyone at LTT knows our four-legged residents provide everyone with lots of joy and entertainment. 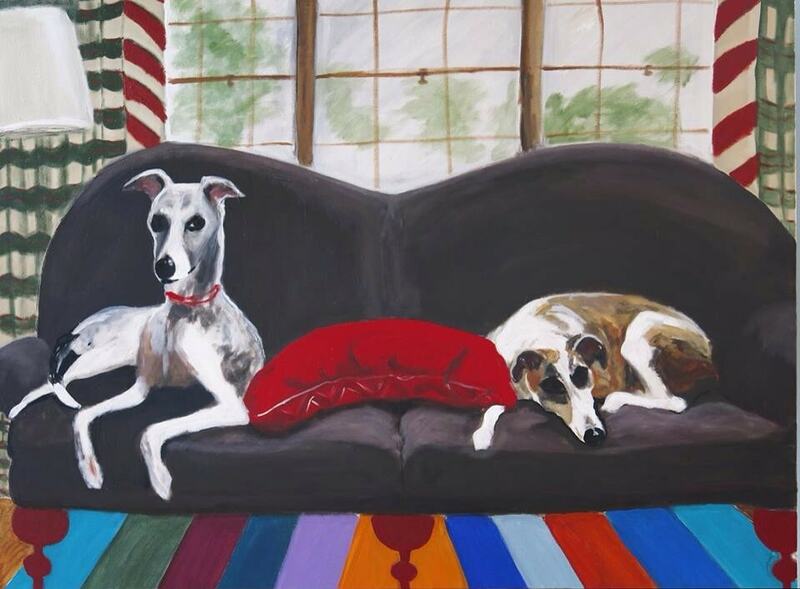 Rory’s love of animals has translated into creating pet portraits by commission. 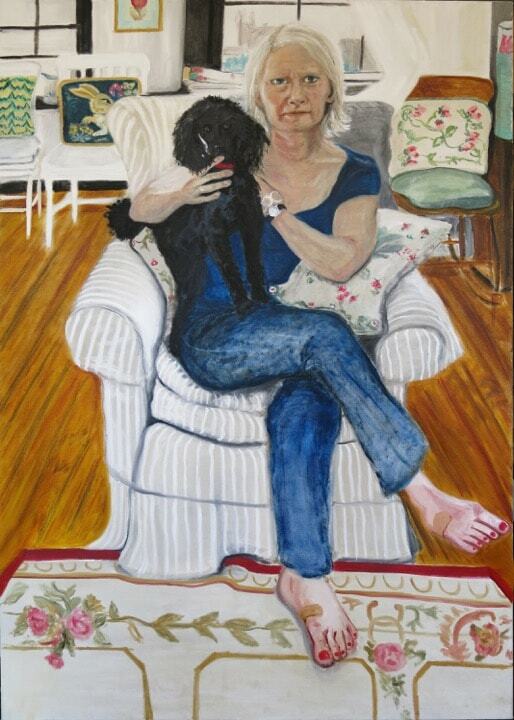 She captures the essence of the pet and the owners’ love seems to be reflected in their eyes. 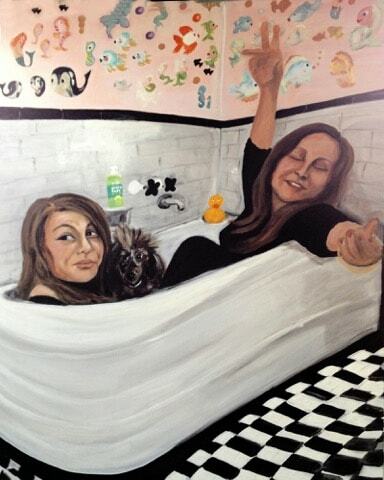 Other than studying Illustration at high school of Art & Design Rory is self-taught as a painter and photographer. Never straying too far from her beginnings in the world of make-up Rory was approached by Estee Lauder to join them as VP of Creative for Prescriptive where she worked on imagery for ads and product development concepts. For the last 8 years she has been with MAC cosmetics working on creative concepts. Another aspect of Rory’s design sensibility is manifest in her interior design career where she applies a sense of color, style, and surprise. Her work with business partner Joel includes hotels, estates, and nearby homes.